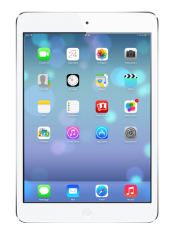 The Finance Team is giving away an iPad Air 16GB. Complete this survey to be entered into the draw. Please complete this survey to help us understand how you go about finding appropriate financial resources for your business. As a gesture of thanks, we will share the survey results with you. Simply add your contact details below. If you would like to receive a personalised copy of the survey results at the end of October 2016, complete your contact details below. D) Responses to advertisements for the role in traditional media and job sites such as careers24 and Pnet. E) Responses to advertisements for the role in social media (Linkedin Facebook, Twitter). F) The cost implications of the recruitment process (placement fees, advertising costs, cost of interview time etc). F) Source a suitable person from an audit firm to assist. C) Would like to consider the offering in more detail.